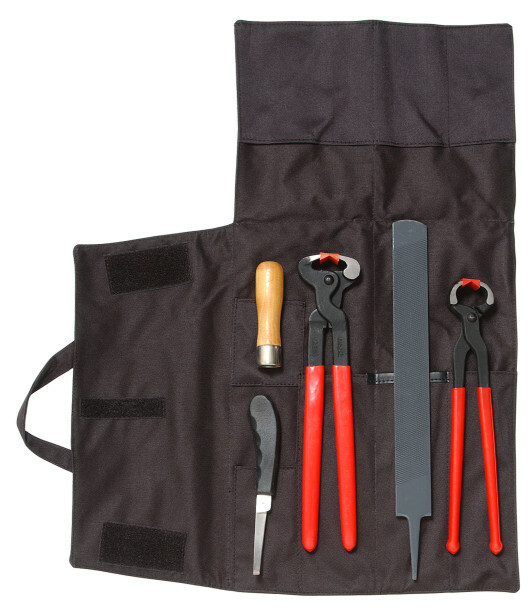 Order top-quality farrier tools and hoof trimming kits online from top brands including Century Craft and Farrier Craft. 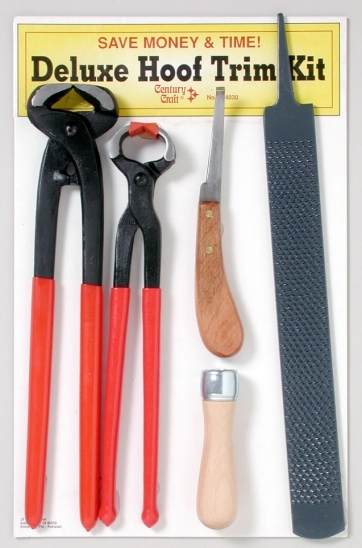 This classic hoof trim kit is a great item to have around the barn in the event you can't get your farrier. Also great to supplement your existing trimming supplies. MORE at State Line Tack and HorseLoverZ.